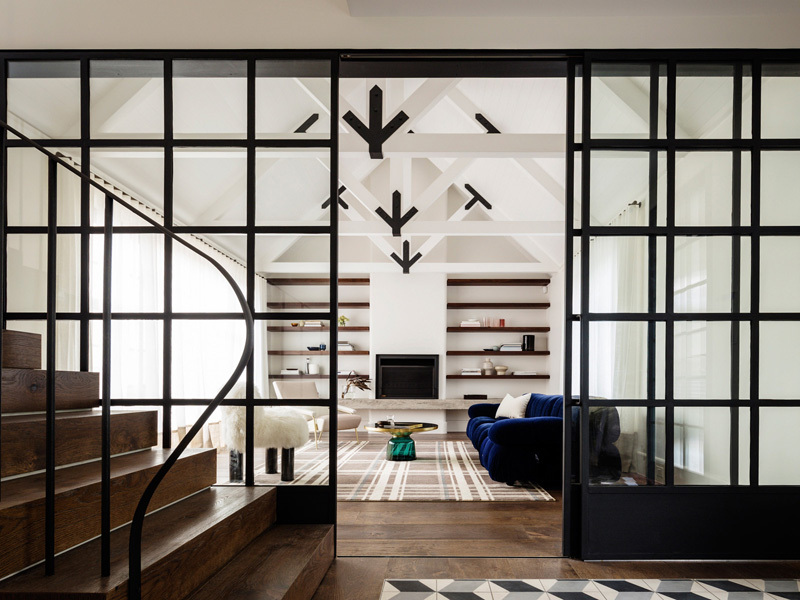 Luigi Rosselli Architects, together with Alexandra Donohoe of Decus Interiors, have designed a home in Sydney, Australia. The master bedroom, which hovers over the front door, faces the sunrise and a distant ocean view. A steep pitched roof covers the lower red wing. Laser cut plywood shutters frame and clad the first floor bedroom wing. 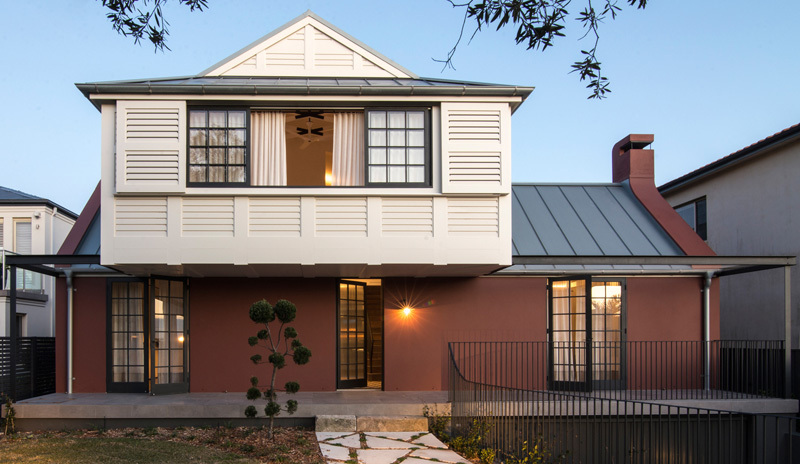 The white shuttered first floor overhangs the living room terrace. 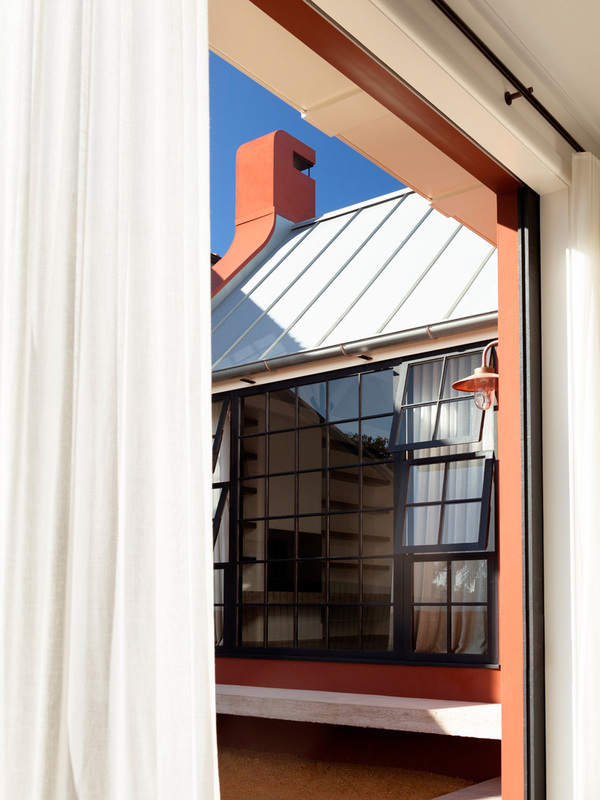 The bedrooms are kept cool by a combination of the external shutters, cross ventilation and a large air gap in the roof space. The house is air conditioning free. 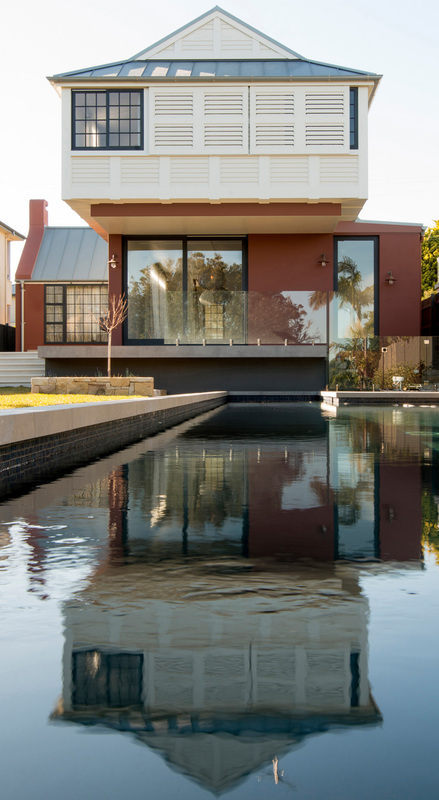 The bedroom wing appears to hang over the pool. 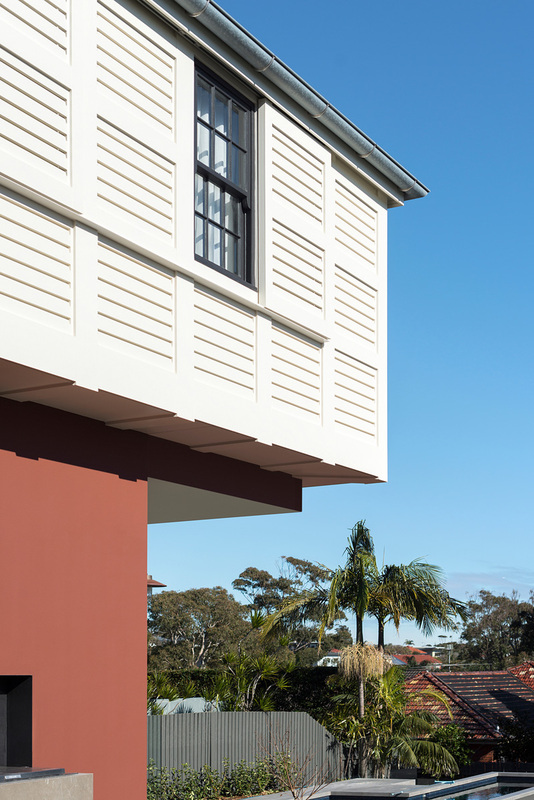 The paint colour ‘Ox Red’, was applied to the masonry base, a memory of the hearth colour used in clay bricks. 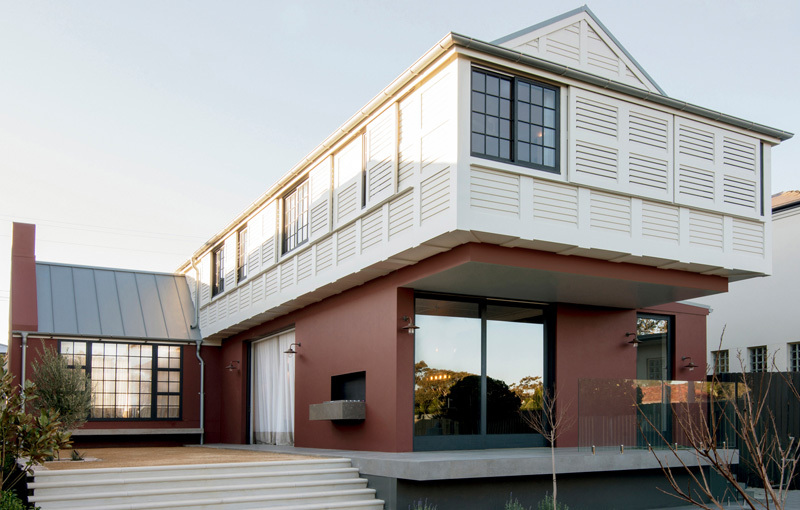 The white upper floor is pertinent to timber construction. 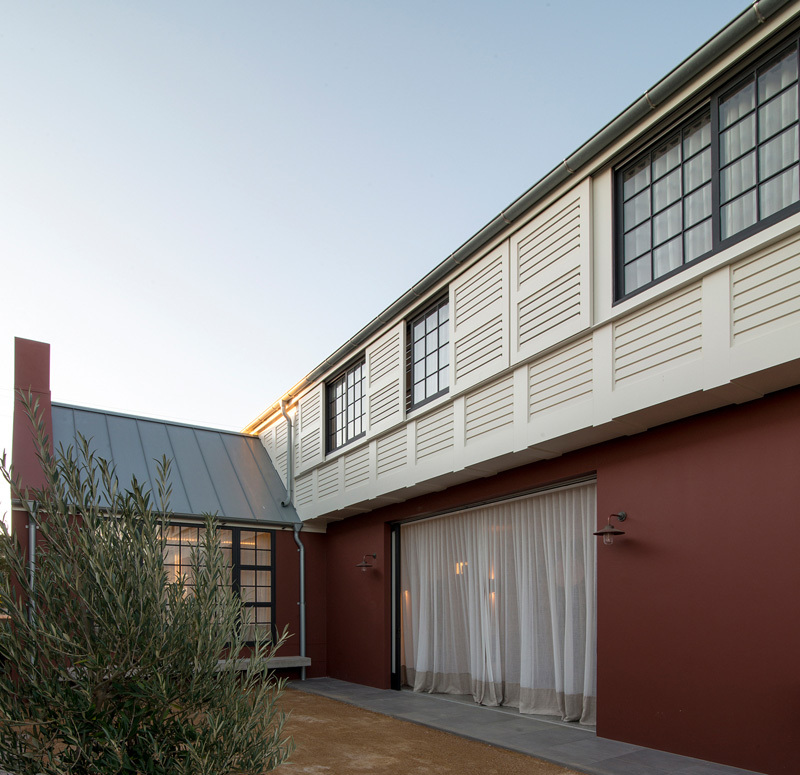 Full height sliding doors are concealed in the wall cavities, that allow the courtyard to become part of the internal family room, with only the light curtains connecting the two spaces. 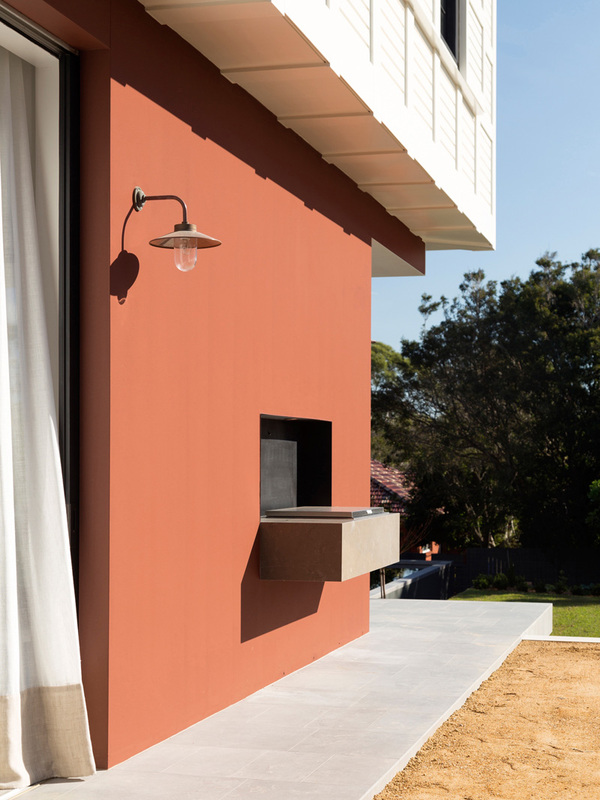 An off-form concrete bench terminates the long courtyard under the library window. Soon a canvas awning will cover the seat, and a table and chairs will invite the family and their guests to relax in the shade. A built in barbecue has been semi-recessed into the wall. 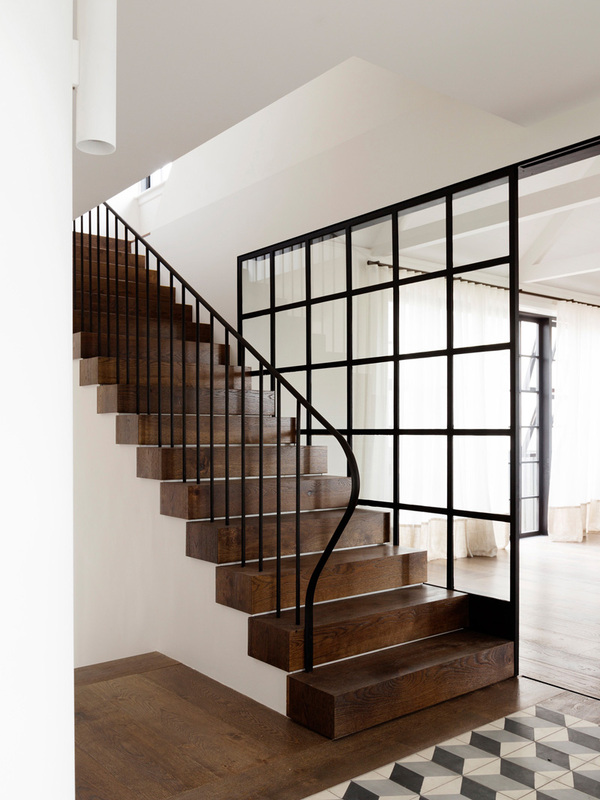 Broadline glass has been used throughout the home. 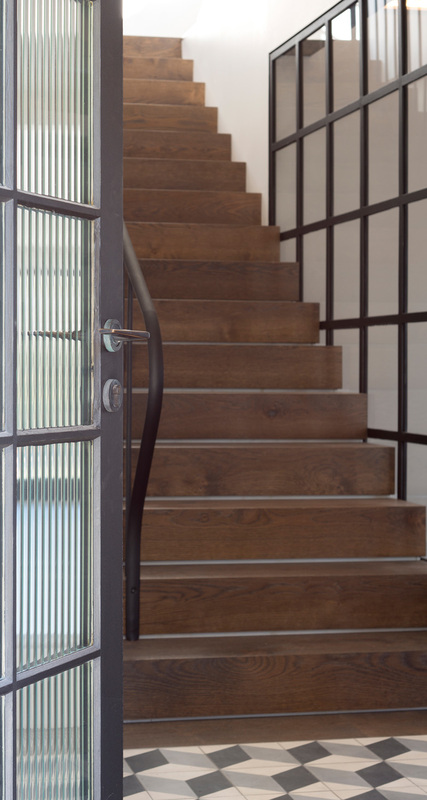 In the glazed front doors it provides more play of light and shape than a matte sandblasted glass. 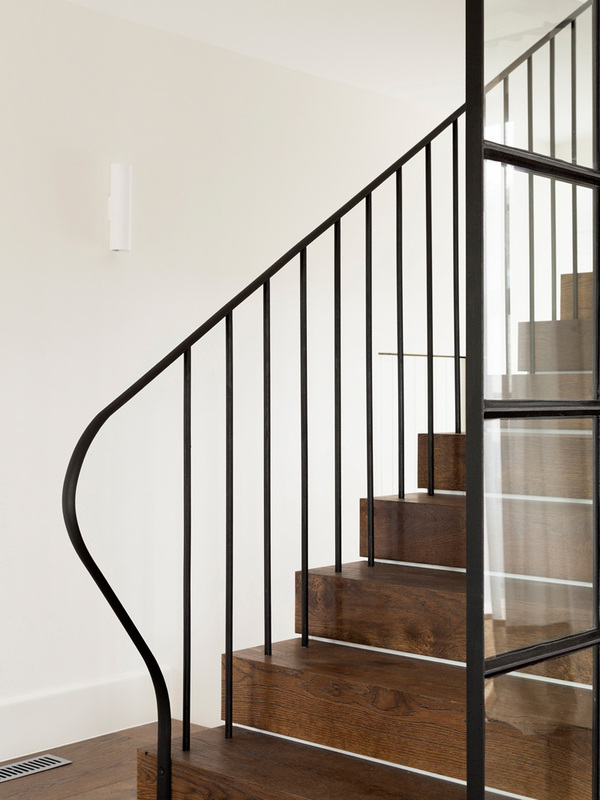 Dark oak treads and a classic steel balustrade provide a contrast against the white walls. 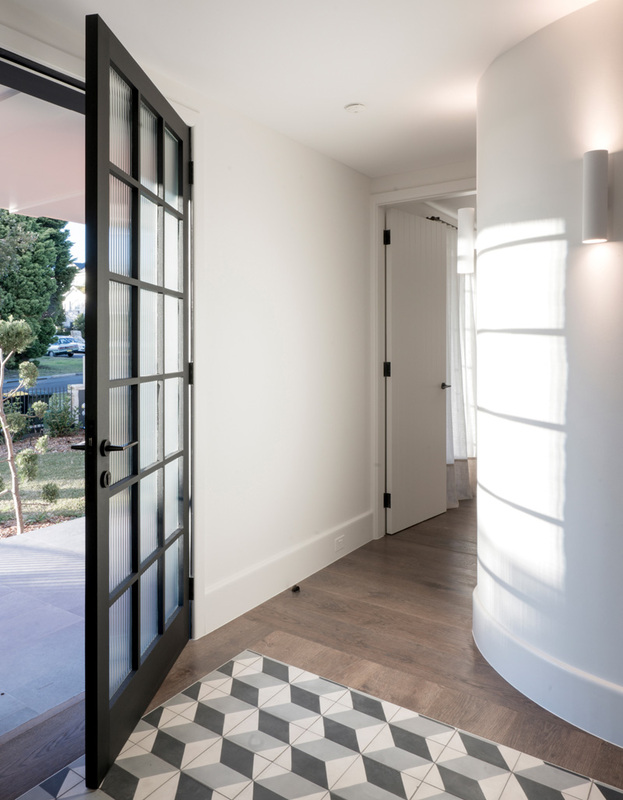 The encaustic tiles in the foreground form a square, over-sized entry mat for the front door. The cubes pattern is an ageless design that one saw in the 19th Century encaustic as well as in more recent porcelain designs. 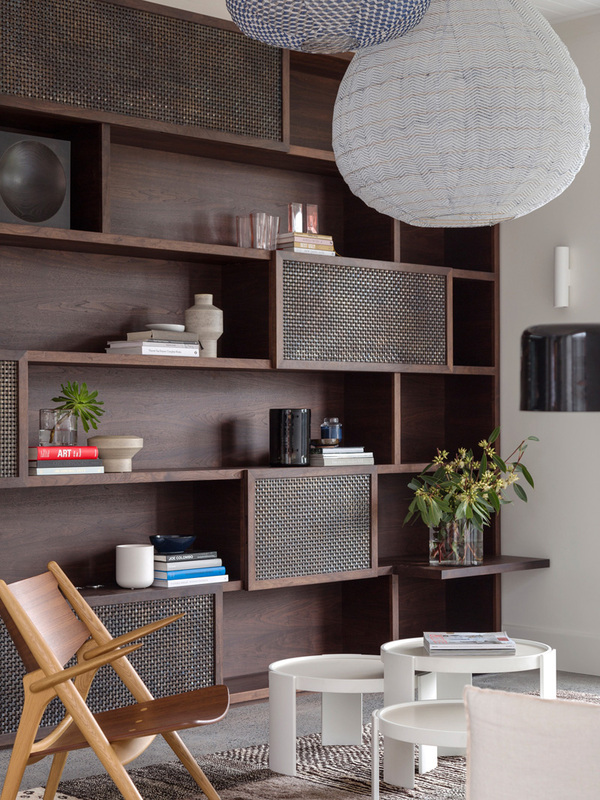 This walnut storage unit is a warm contrast to the polished concrete floor and white walls. Being part of the large family room adjoining the kitchen, it provides the storage and comfort for a busy family life. 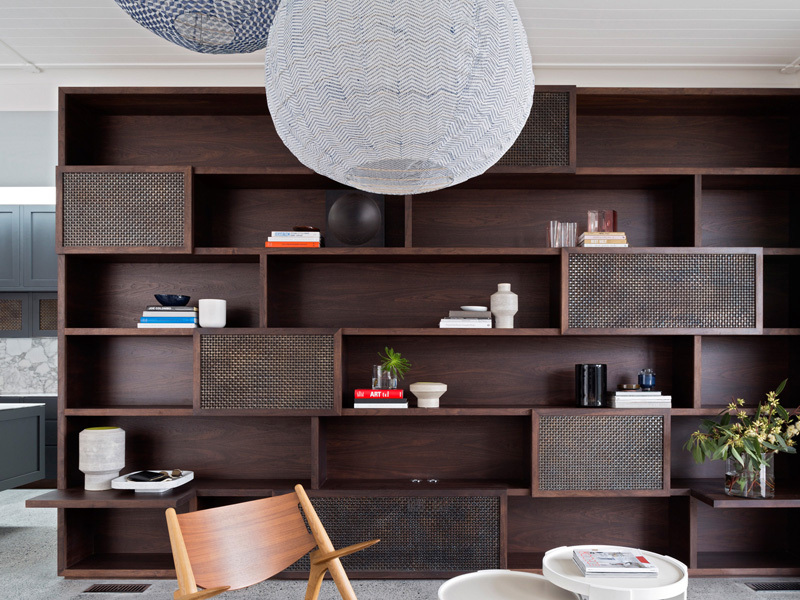 A post-industrial bookshelf provides plenty of storage for the home owners items. 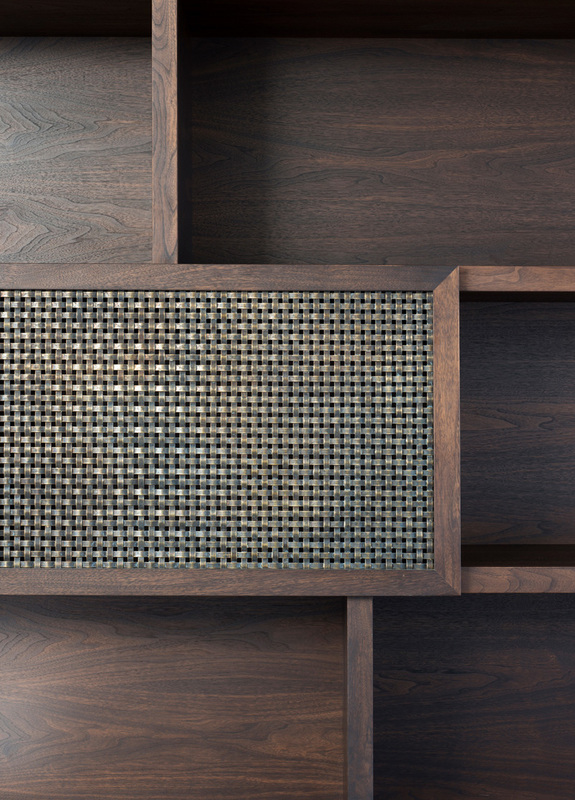 The skilled design of the joinery intertwines the walnut stained shelving with woven aged brass mesh. 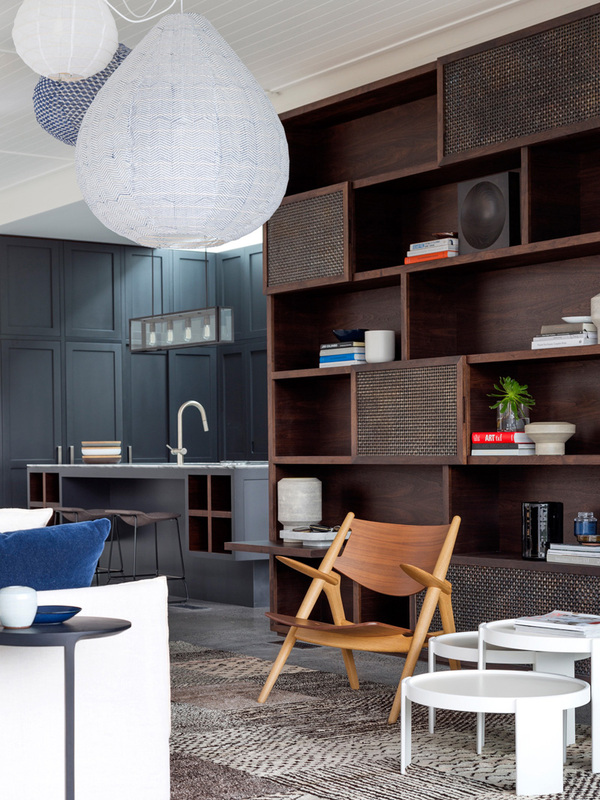 Here you can see Alexandra Donohoe’s interior design and décor in the foreground, with the kitchen joinery in the background. 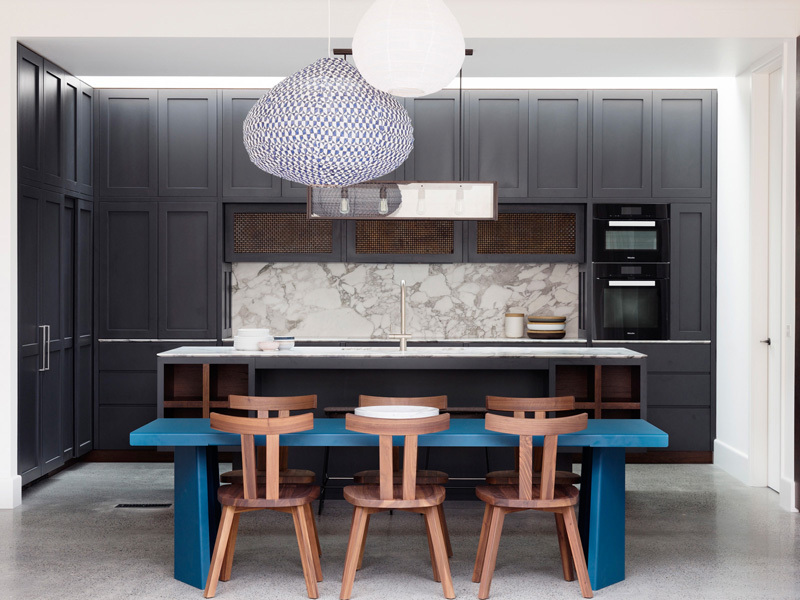 The kitchen features a polished concrete floor, paneled joinery and a marble bench top. 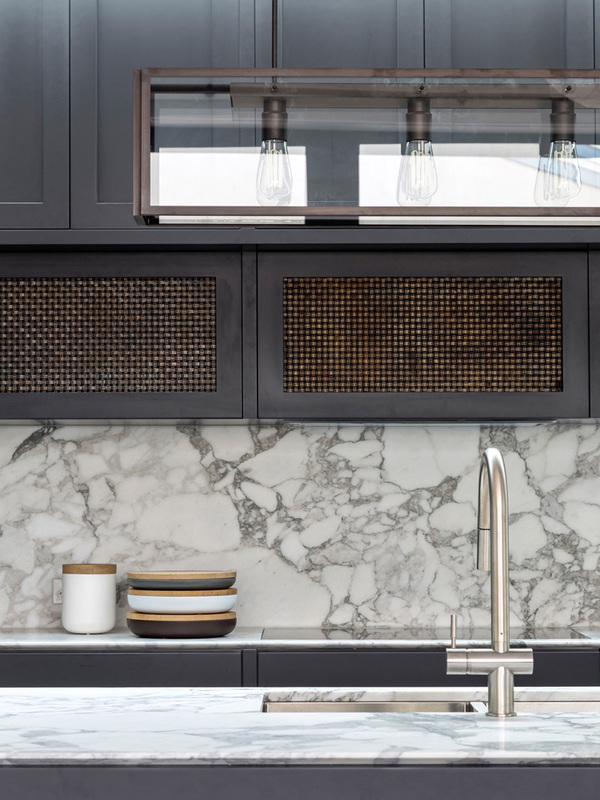 A marble backsplash has also been included. 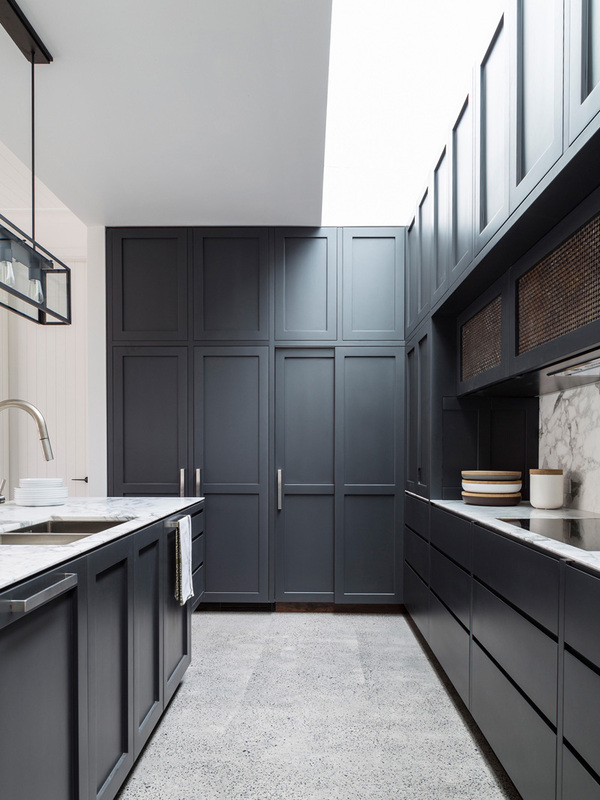 Two fridges and a pantry are hidden behind the paneled doors. 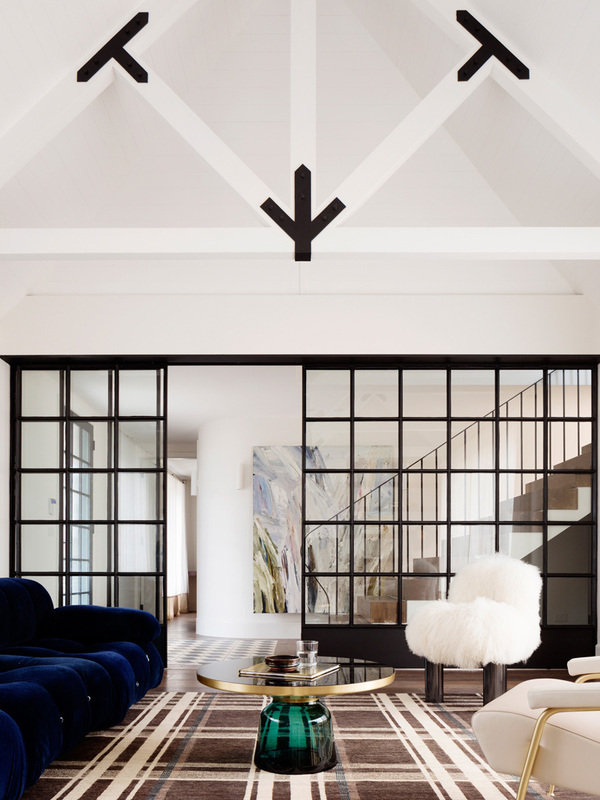 The master bedroom has exposed rafters and steel reinforced trusses. 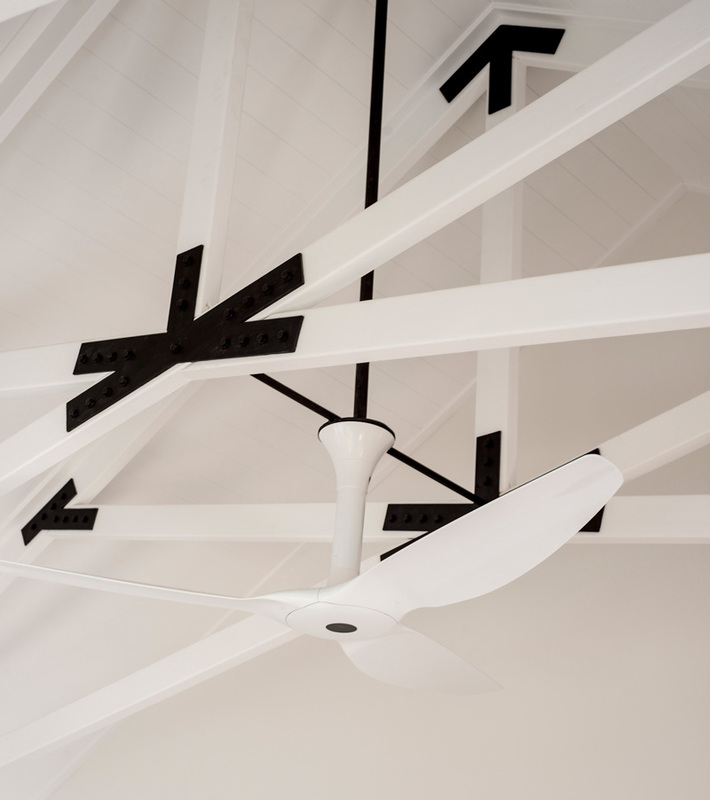 A large bedroom ceiling fan assists air movement throughout the bedroom. 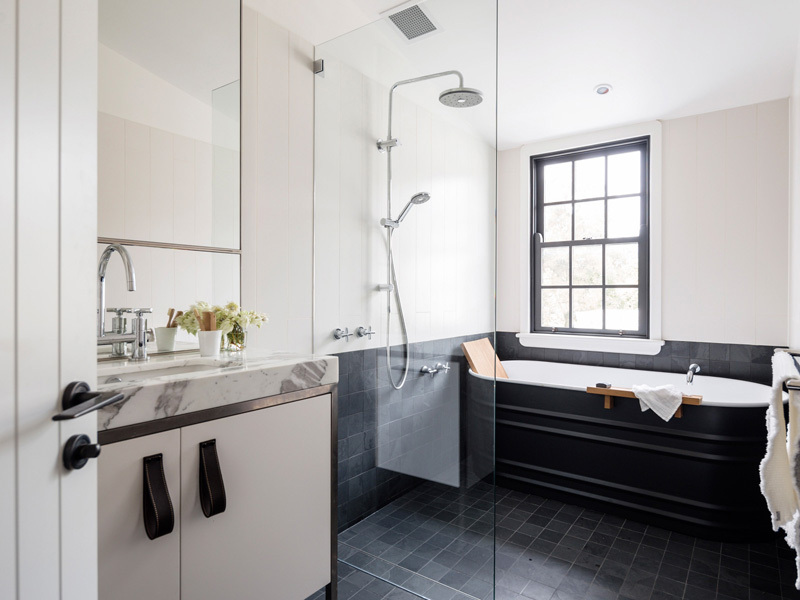 A bathroom has been designed with the tiles, bath and window frame kept dark, with everything else kept light.